Specific defence is available for some specific wrong. General defences available for.Number of wrongs . Defense of consent is general defence under the law of tort according to the doctrine of volenti non-fit injuria, if a person voluntarily gives consent to suffer from harm himself then he is not entitled to remedy under law of torts. It means if a person is aware about risk and voluntarily accept any task then he cannot claim and remedy. Player of cricket, football player etc. 2) agreed to suffer the harm. One more important thing that is defence or consent is available only icf harm is not beyond reasonable limit . For instance - deliberate injury caused to another player . similarly if a surgeon perform surgery negligently. Plaintiff was a spectator, during car race, there was collision between two cars, one of the car thrown among the spectators ,thereby injuring the plaintiff. Here defendant was not held liable . 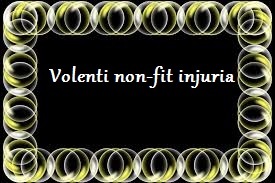 The maxim volenti non-fit injuria was applied. While driver was taking petrol at petrol pump, two strangers took lift in a jeep. Suddenly front wheel failed and Jeep become uncontrolled ,both the strangers thrown away, one of them instantly died. and another was injured. Here plaintiff was not held liable because, strangers voluntarily took lift. A photographer was taking photo in a horse show unfortunately he fell into horse course and was injured by galloping of horse. Here also defendant was not liable.